I wish they had these when I was thirty, I would have certainly tried it. Now I will have to wait until I am 90, what a way to go! This was taken at Las Islas in Cancún Mexico at sunset. 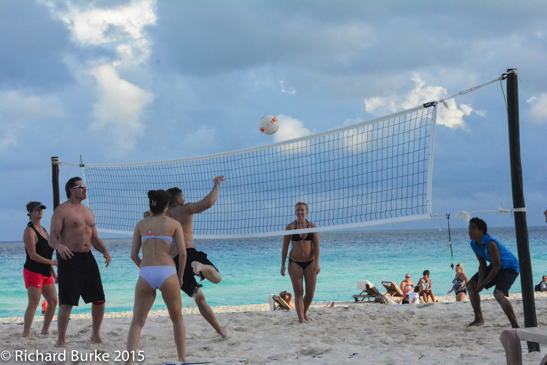 Each night before sunset there was a pick up volleyball game on the beach at Lagunamar in Cancún Mexico. The players varied in skill but all seemed to be having fun and nobody took it too seriously. Last year I photographed the Regional Finals in Clearwater Beach Florida which was very intense by comparison. We saw this guy in Canún Mexico. Young children seemed to be scared of him yet completely unafraid of the smelly old pirate just a block away. 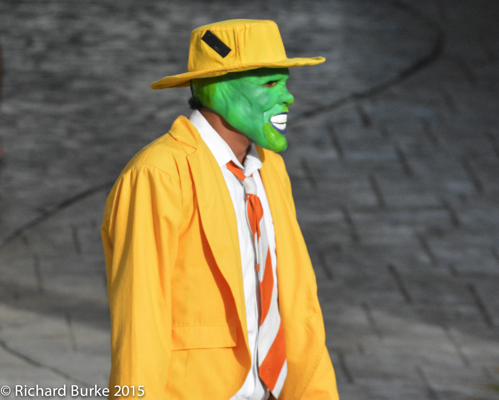 Then it occurred to me that kids see Pirates all the the time but the Jim Carey movie The Mask was thirty years old! I have been asked by a number of people to write a book about my experiences on the set of Dawn of The Dead in 1978. I was a photojournalist in Pittsburgh in 1978 and did some work for Pittsburgh Magazine. 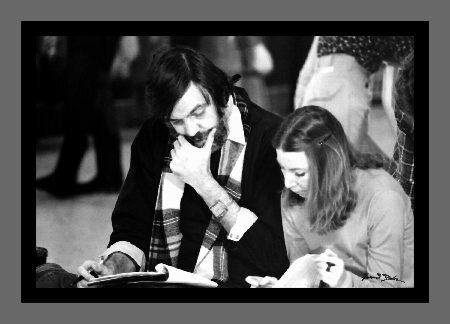 One assignment was to cover the new movie that George Romero was making at Monroeville Mall. The book is now in the first stages of editing and I hope to publish it by April. I am also working with a professional illustrator in the United Kingdom on the cover design. I am considering making a Zombie Nights T-Shirt so stay tuned in for updates on the project. 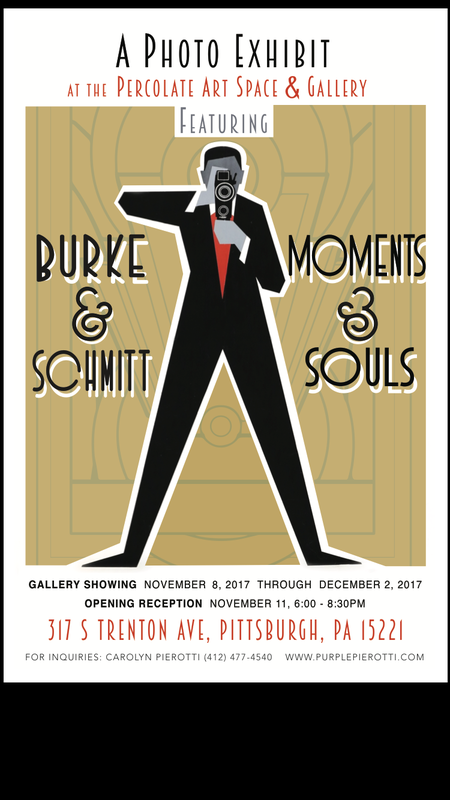 Publishing a book of color images for Kindle seemed idiotic to me so I never released a digital version of “A Hundred Places I Went to Before I Died” until this week. I did it as a prep project for my new book “Zombie Nights” to understand the difficulties in converting an 8.5 inch square book into a Kindle format. 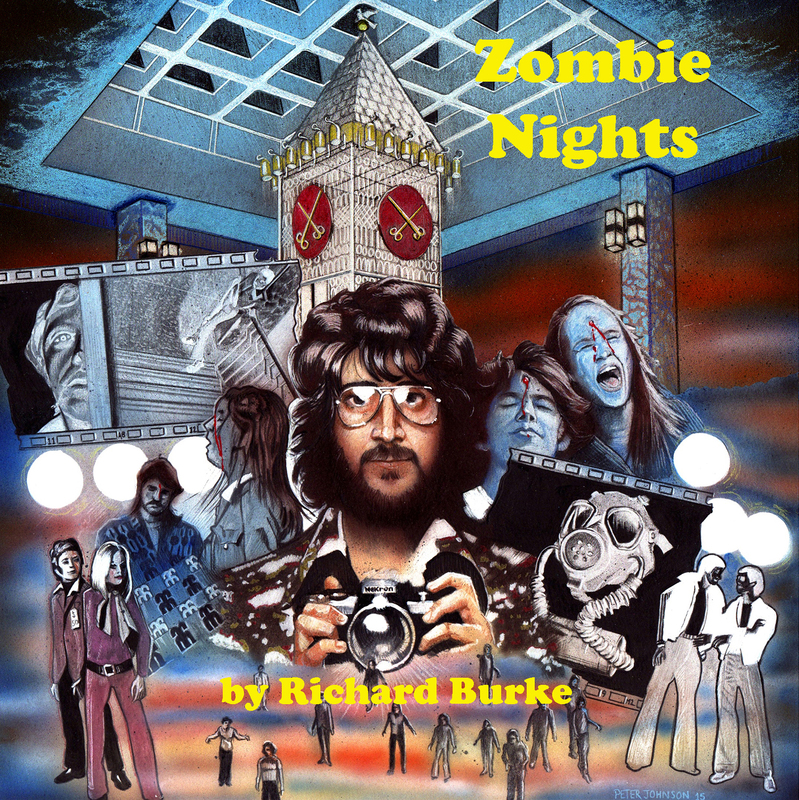 Zombie Nights will include over 50, mostly monochrome images and the square format makes sense for books containing both vertical and horizontal images. In addition the popularity of the Kindle Fire devices makes a book of color images not seem so idiotic. To preview the Kindle version of A Hundred Places I Went to Before I Died, click here. I love taking pictures at sunset. It used to be that I was happy with just the beustiful color of the sky. 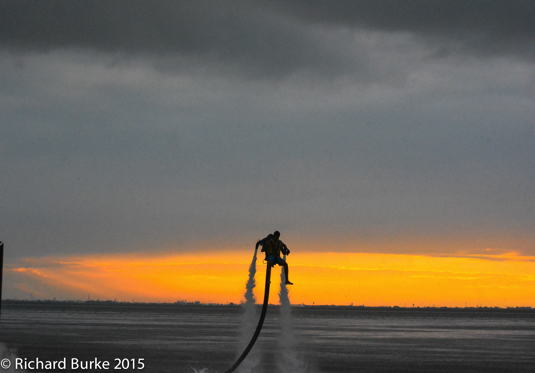 As I matured as a photographer I began to feel the boredom of the empty sky. Recently I have become fascinated with silhouettes against the setting sun. The forms add texture and movement to a static skyscape. 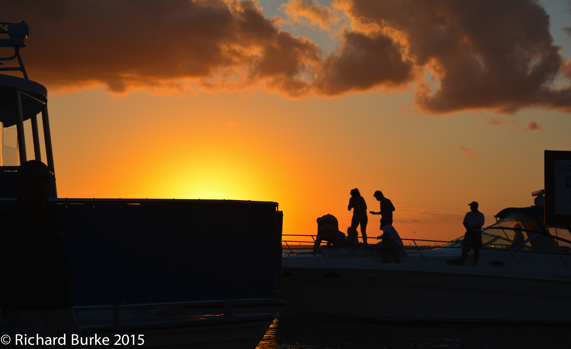 This image was captured on the docks at Las Islas in Cancun Mexico. It’s fun to watch the street peddlers and hucksters in Mexico. Each one has their own unique shtick. They are all pretty harmless and not agressive like they are in Waikiki. They won’t chase you down the street. There are the pretty girls in tight dresses that flirt with you. The young men that act like you know them and that you are their best friends. People who are giving stuff away for free or so they say. 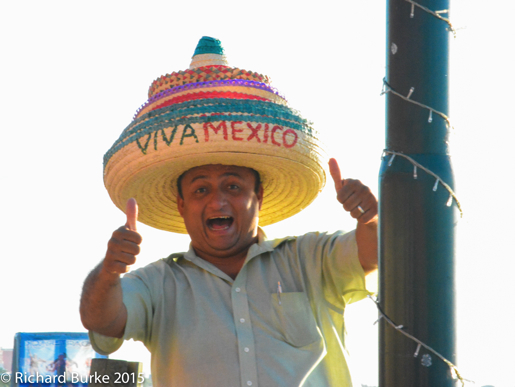 Then there is this guy, the hat guy who is so happy he just can’t stand it!